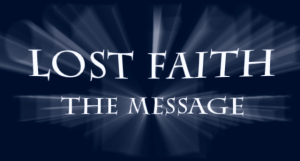 Lost Faith is the Message. It's music that tells the story. Story of young, terrified man. Story of escape. Story of shadows. Story that ends somewhere.